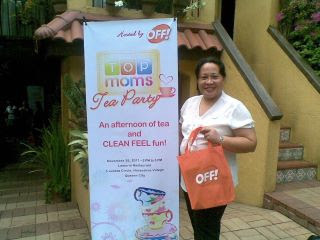 Mommy Bloggers and their kids were an invited by Off Lotion and Nuffnang Philippines last November 26th to be part of the lucky few who got a sneak preview of the Top Mom Website Launch at the Lemuria Restaurant in Horseshoe Village, Quezon City. OFF Lotion's own parenting website via www.topmoms.net officially launches on Dec 9, 2011. The website aims to help most parents in child-rearing especially those who are first time moms. Topics are diverse and includes in-depth information on health-related issues, education, proper discipline, etc. Ms. Suzi Entrata-Abrera facilitated a short forum among the attendees. Resident parenting expert and pediatricians Dr. Anna Vasquez and Dr. Empress Villapando will help parents tackled child-rearing problems that have been raised during the event. They shared invaluable advices. Both doctors will be sharing more tips and advice to moms via the online community, TOP MOMS. So join in the said website now for winning tips, exciting contests, and parenting info. Thank you OFF! 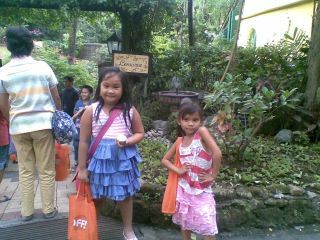 and Nuffnang Philippines for a wonderful Tea Party!